5. Harley rental for 24 hours (self guided). 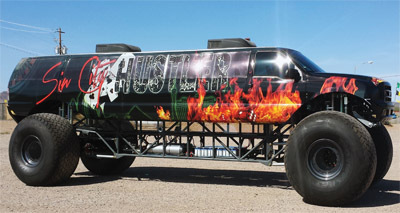 Book the Ultimate All American Adventure: Grand Canyon Air + Bullets and Burgers + Ride A Harley. Enjoy the flight to Grand Canyon West with breathtaking views of Hoover Dam and the new bypass bridge, both engineering marvels. Visit Fortification Hill, an extinct volcano, then on to Indian Pass, Black Canyon and a portion of Lake Mead, largest man made lake in America. 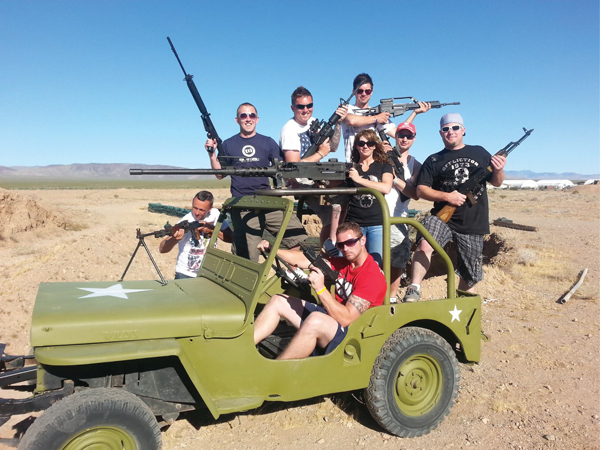 Enjoy the Bullets and Burgers Adventure: You have the opportunity to fire a wide range of fully automatic machine guns and specialty weapons at our private outdoor range set in a stunning Mohave Desert landscape with our unique ‘Desert Storm’ atmosphere and military style bunkers. And to top it off, lunch is included inside the World-Famous Arizona Last Stop restaurant located onsite. You will enjoy a delicious World Famous All American Hamburger, fresh cut fries and soda.